Held in the summer and usually starting from the Mendip Nature Research Station the members head out on a leisurely cycle ride across the Mendips. The cycle ride takes most of the afternoon, returning in time for food and the start of the Grouse hunt (see below)! In recent years the cycle ride has involved an element of fancy dress with themes including lego, super heros and smurfs. Usually held on the same weekend as the cycle ride, the Grouse Hunt is a light-hearted treasure hunt within the grounds of the hut. 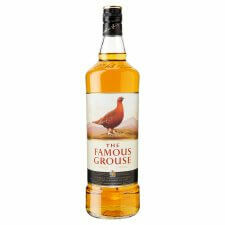 Various prizes are up for grabs with the Grand Prize being a bottle of Famous Grouse Whisky. The Hunt is led by the Ornithology Section Leaders who provide a communal meal in the evening - all proceeds going towards the Bird Feed Fund and maintenance of the Bird Table. The Mendip Nature Research Station was built entirely by its members, and the membership are responsible for its maintenance and upkeep. Throughout the year working weekends are held to tackle projects large and small from building works to cleaning, resurfacing to repainting. Bed nights are free for all those contributing their valued time and effort.